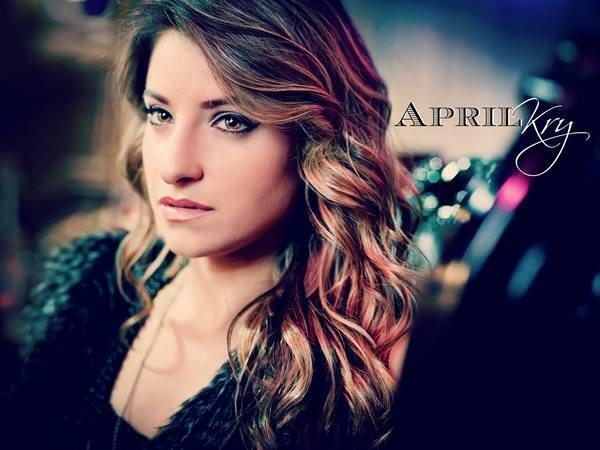 Join us this week as we welcome country pop music recording artist, April Kry. She might be a new name to some, but April has been utilizing her vocal skills to great effect from a very young age. Her latest single “Beauty Queen” and upcoming EP are sure to help April make as big a mark in the music world as some of her influences, like Miranda Lambert, Hunter Hayes and Carrie Underwood. April has shared the stage alongside entertainers including the late Donna Summer and Jermaine Jackson, and in the studio has worked with TV’s The Voice champion Javier Colon and producer Tom Jackson (Taylor Swift, Jordin Sparks). In addition she has worked with former American Idol Charity Vance on a series of covers. Lyrics are a big part of why April writes and performs music, and what she hopes her identity will ultimately be as an artist. “The reason I love doing music is that it truly brings people together. I believe that the lyric is the heart of a song, and without substance, you won’t make a lasting impression. It doesn't matter where you're from or what language you speak, music is a universal language, and if I can touch just one person with a melody or lyric of mine, I've done my job as an artist.“ We will talk to April about her upcoming schedule, get a behind the scenes look at her music, feature her latest songs, and ask her to share her message for the troops. Please be sure to visit April Kry at http://www.aprilkry.com/ and spread the word. Fans are welcome to call in and speak live with with April during the show (718) 766-4193. If you would like to participate in the live chat during the show, you must sign up on the show site first and then log in during the show. And as always we will give shout outs to our deployed military listeners. Join us, Sunday 1/11/2015 @ 4 PM EDT! Our message to the troops....WE do what we do, because YOU do what you do.